It was the time of the year when it rained for three consecutive days. It‘s essentially, the exact time when you want to open a book and sip on your tea. We celebrated the rains a tad bit differently. 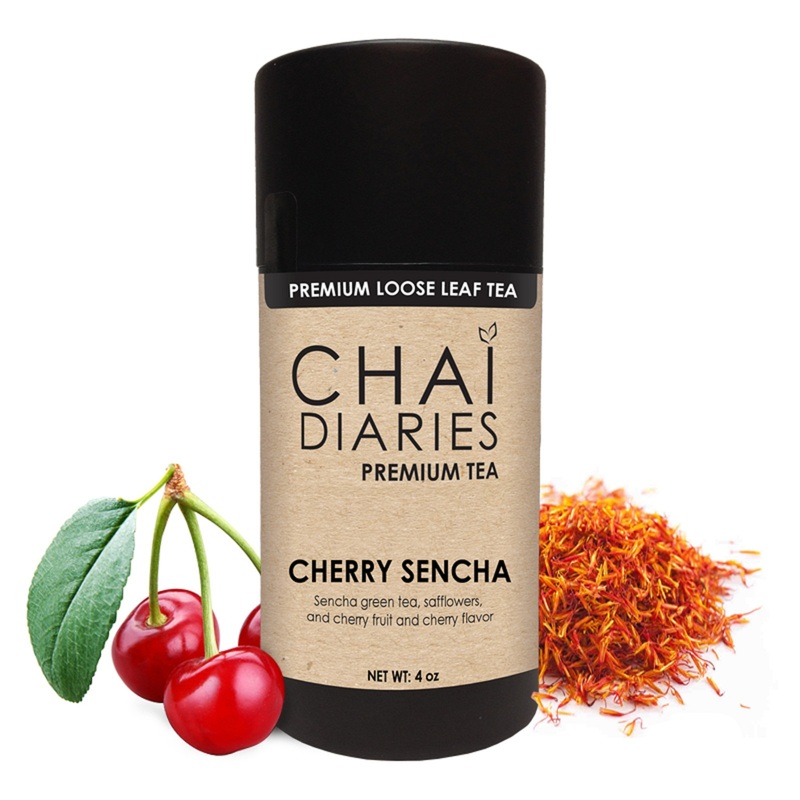 We have our friends over for a mini tea party and tried a couple of tea blends by Chai Diaries. We had flavors like Cherry Sencha, Passion Fruit Oolong, Blood Orange Caffeine Free, Rooibos Coconut Chai, Organic White Chai and Apple Pie. The Tea’s were indeed refreshing although a few flavors were too strong for our liking even when brewed lite. 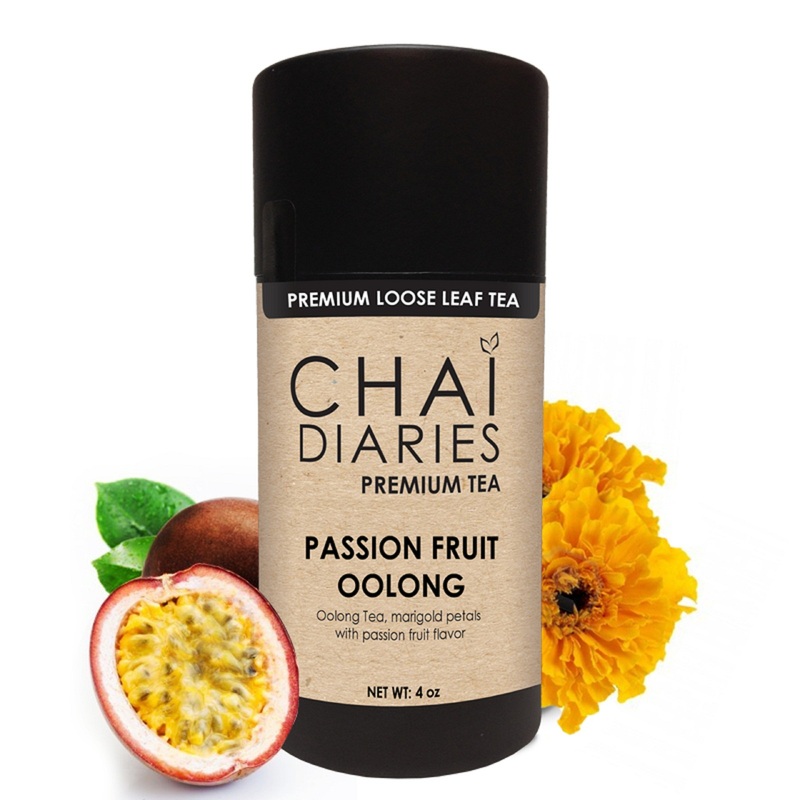 Passion Fruit Oolong: Brew it light, not strong and you will fall in love with this one. You may also want to try it cold, it tastes heavenly, but that’s if you like the combination of Passion Fruit and Tea! 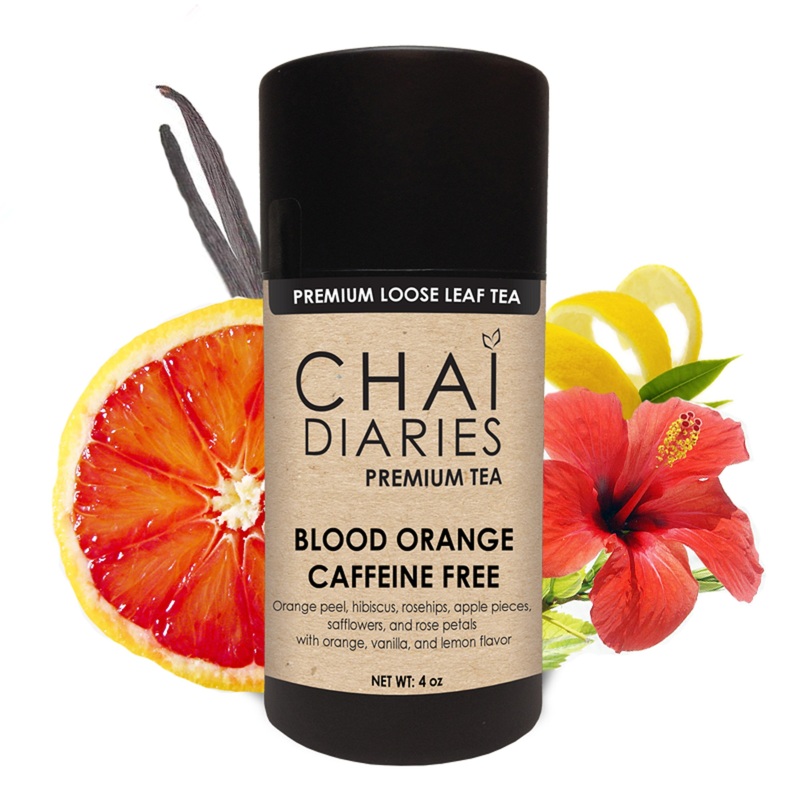 Blood Orange Caffeine Free: Have cold or hot, sweet or not sweet you will savor this one. 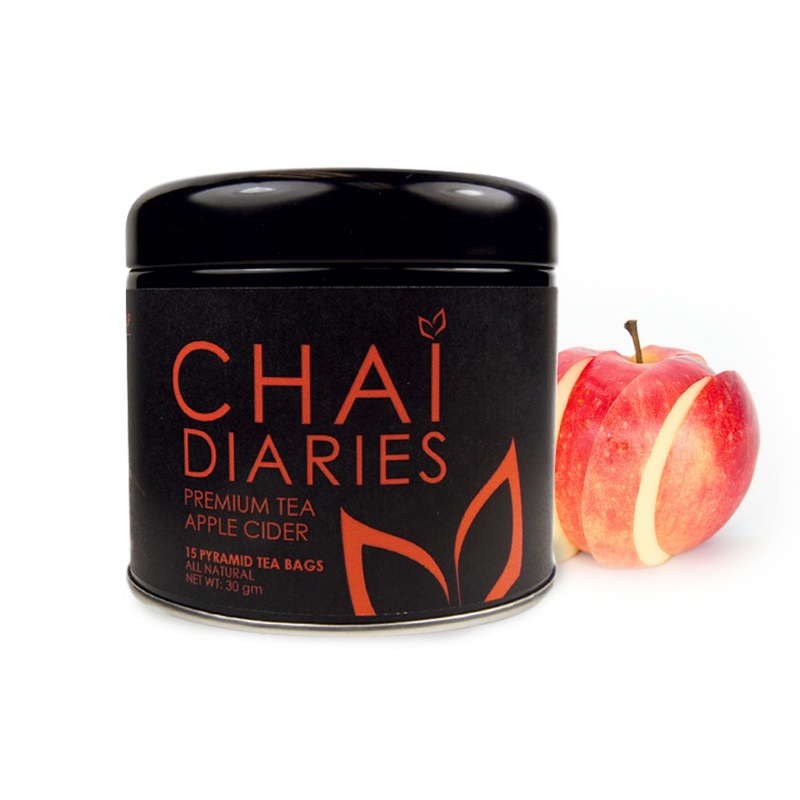 The orange flavor of this Chai is so tasty that it makes you want to just keep at your lips and continue sipping. 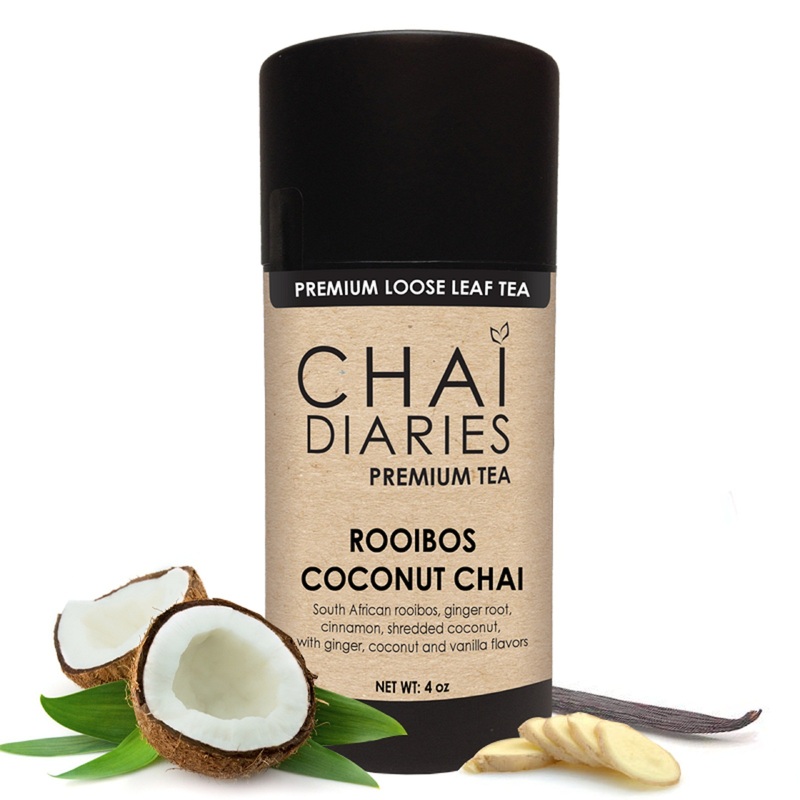 Rooibos Coconut Chai: This one is a teaser because it will defy your tastes and then tickle them too. It is better had warm but we recommend this flavor only if you like coconut. If you don’t like coconut then please give this one a miss. 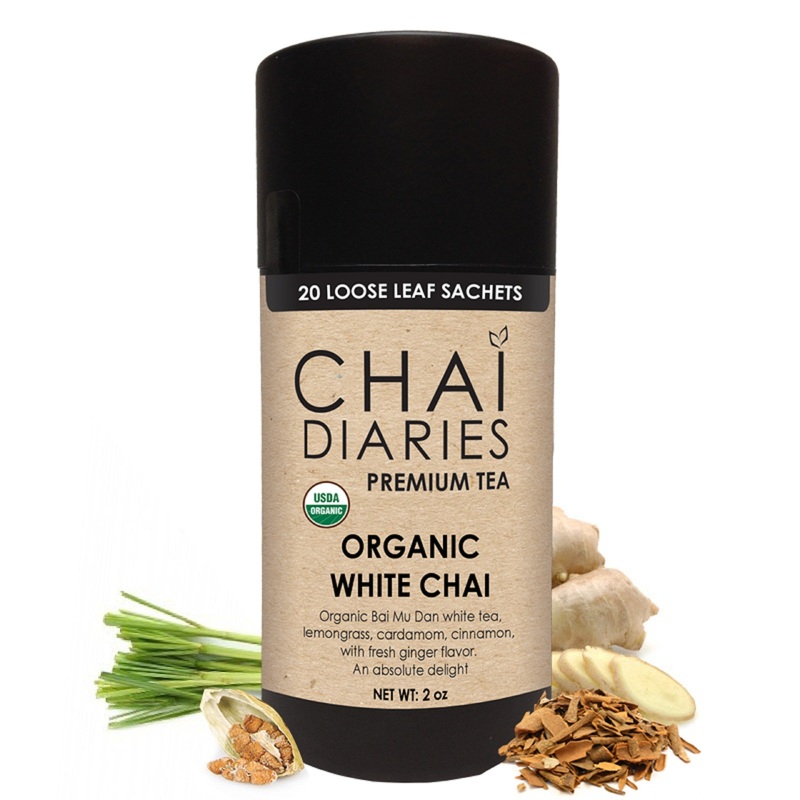 Organic White Chai: Chai at its classic best! Have this cold or hot or sweetened you will want this one in your kitchen handy to serve guests. Sip this as you stand by the window when its cold or pouring outside. It will only make you feel better and all you will do is go deep in your thoughts as you relish it. Apple Pie: This one has also entered into our favorite list. It’s flavor is simple yet so exotic! This one flavor gave one of our friends an idea to write a book. As she sipped on it she got lost in her own thoughts at the window and snapped to reality, picked up the tea leaves and scrammed home to work on her book.